Gratitude as 2014 slides to its end…. 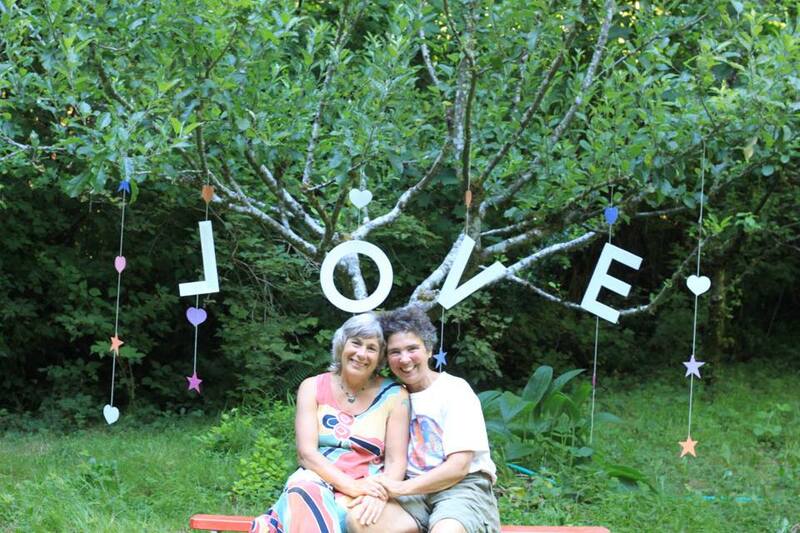 As 2014 winds to completion, Tere and I have been reflecting on the many blessings in the form of all the women and men (and children too) who showed up at the Groves over this past year, supporting our work and our vision! Without all of you, we would not be realizing our dream of sharing this land, our sweet structures and the medicine of our healing ceremonies. 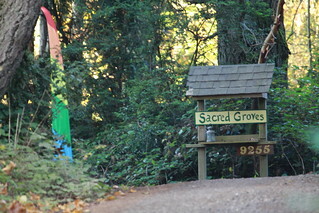 We feel so blessed in our lives here at the Groves with so much beauty, abundance, love, and connection. The many guests who come here each bring a special gift for us and for the land. 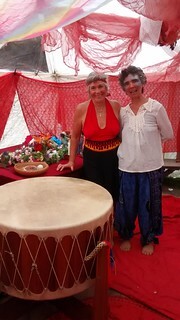 The ceremonies and circles we host have drawn many wonderful folks this past year. 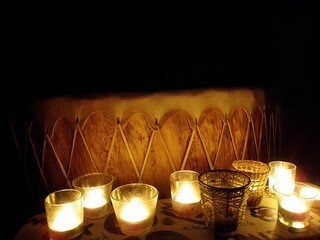 We continue to be touched and awed by the healing magic of sitting in sacred circle! Whether the connection is a one-time event that someone happens to drop by for, or takes place over the course of months (and years!) in an ongoing group, it is our pleasure and deep honor to be sacred witness to each person’s unfolding journey. Our B n’ B continues to thrive, drawing a steady stream of folks from all over the country ( and the world!) who stay with us for a night or two, a week or two. People find us through our Airbnb site, our Sacred Groves website or through the ephemeral web that ‘calls’ folks to our little sanctuary. From one guest: “You are both such lovely stewards of this little piece of Earth. Thank you for tending to it and others so well. Your care and reverence is palpable.” When folks leave notes like this, we are humbled – and we say: this Land is the REAL healing agent here! And we are so blessed to call this place Home. We’ve enjoyed opening the Groves up to outside groups. For the 14th year in a row, Rite of Passage Journeys brought girls groups to the Groves! Aleen (Dawn Whirlwind) and Templedogs brought the “Origin Teachings of The Delicate Lodge” at 4 week-end retreats at the Groves this year. In addition, we hosted a Bikeworks staff retreat, Vickie Dodd’s Sound Healing, Port Townsend ‘Global Visionaries’, Amy Jo Goodman’s “Healing Sexual Trauma” Retreat and a few others. This has brought many folks here who might otherwise have never visited. And, We feel so blessed that wonderful teachers and teachings like these are drawn to the magic of our place here. The current crop of full-time residents here at the Groves is a group of wonderful young adults that we are delighted to share the land with! 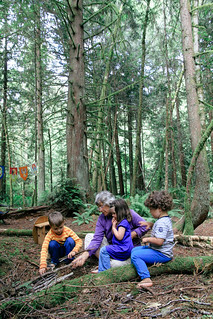 Chris and Katey are holding forth in the Log Cabin – creating wonderful art (they’re both artists), and co-creating a little community of friends transplanted from Michigan plus new friends gathered from the Pacific Northwest. Their midwest can-do, helpful spirit is evident in the little ways (e.g.trail clipping) and in larger ways too. We’re so grateful for their efforts in the gardens and with our guests when we’re away. Oh – and we really really like them too!! Did we mention the children yet? Our grandson Tavi and the twins Liam and Gigi who were born when their parents were living here at the Groves have been such a delight for us….these children enliven us with their laughter and their play and we’re always happy to welcome them (and their parents) for a visit. As you can see…..there is much to be grateful for and we end the year with a sweet sense of satisfaction, feeling awash in blessings as we live our beautiful life here at Sacred Groves! So we sign off for now, wishing all of you a beautiful holiday season full with good food, loving friends and family, a sense of peace and contentment. HAPPY 2015 and we do hope to see you here for a visit sometime! This entry was posted in Uncategorized on December 11, 2014 by theresecharvet. It’s official – Thursday we start the building!! In the world of construction (and nowhere else does this hold true…) – things always change. I used to tell clients that being a contractor was like being a juggler on a surfboard – the challenge was not only to keep the balls in the air, but to anticipate the next big wave and try to catch it before it sideswiped you. So here we are – having another relaxing day before the BIG PUSH. Our scheduled Oregon Yurtworks team-leader was sidelined by a hernia (ouch!) on Friday – so the start date has been pushed back. His replacement – Jonas – called this morning . We had a good talk about what he’s bringing with him (tools and know-how), what we’re providing here in the way of accommodations (a rustic ‘cabin’) , and when we’ll gather the big crew. Since he’s not getting here until late Wednesday, our official start date will be Thursday – 8am sharp!! This phase of the project has been a testament to the ‘let go let god’ philosophy of construction. In our original version of things (or in revision #56), we’d anticipated jumping on site first thing this morning and getting the floors and possibly a wall or two installed with our gang of 7 or 8. As it turned out, I didn’t get up until almost 8am, had a leisurely cup of tea and then spent all day connecting the rest of the water line up from the pumphouse to the new house (mostly running to the hardware store for parts – it is plumbing, after all.). Therese and Sarah worked on getting the ‘cabin’ ready for Jonas and tending to general Groves business as well. All the delays we’ve encountered thus far have been to our benefit- we’ve learned to not sweat the small stuff, and in fact are approaching the next two weeks of work with a sense of spaciousness and relaxation. This entry was posted in Uncategorized on July 16, 2007 by theresecharvet.